One of the things I've honestly been struggling with is comparison. Am I doing enough? Is what I'm doing the best that I can? There's a reason for that: in my world, reaching goals and ranks is a big deal. We track and celebrate often. In general, this is a good thing. There is a lot of achievement and personal growth, which is amazing! At the same time, though, all that constant upward movement means you're placed into this position where you are continually striving to be your absolute best. The thing is, "absolute best" and “the top” don’t exist! 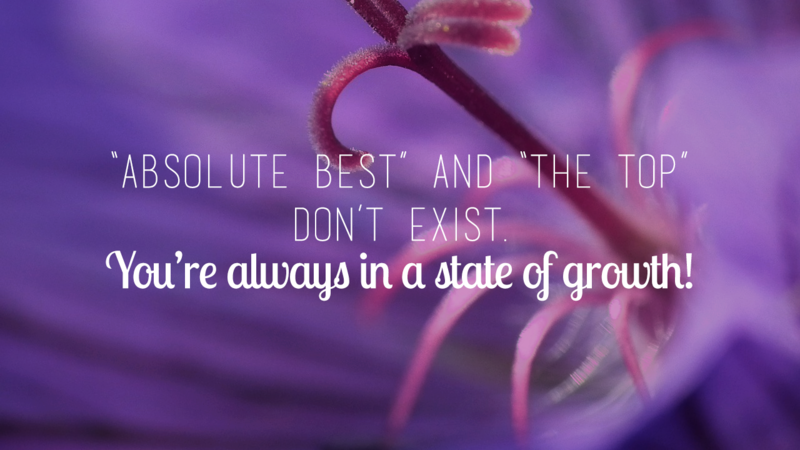 You're always in a state of growth!